WHAT IS the 100% diet confidence rule? The best way to stay consistent on any diet plan is to follow the 100% confidence rule. You should be 100% confident in your ability to sustain any diet change you're contemplating for the long-term. Not 90% confident. Not 50% confident. The beauty of the 100% Confidence Rule is it's simplicity. And it's effectiveness. Now let's look into why and how goal setting using this strategy works a little more closely. WHY should you practice this long-term diet strategy? Unless you have a very specialized short term goal - like you're cutting weight for a judo tournament in four weeks - the kind of change that most of us want is long-term. We want to feel better. To stay leaner. To live in a superior state of being. The only way to do this is with consistency. Therefore, we can automatically reject any type of short-term approach (especially if you've tried them in the past and them promptly fell off the wagon). Ditto to any diet that seems impossibly restrictive to you. Say goodbye to the juice cleanses and 30-day challenges. They won't deliver the goods. They won't leave us better off in 6-months, a year or five years. To maintain in the long-run, you should look at a change to your diet or lifestyle and say "I can maintain this indefinitely. No problem." That's how you know 1) that you're ready for change, and 2) that you're setting yourself up for success instead of failure. Instead of worrying about having the perfect diet, work on incremental improvements week to week and month to month. If you want to learn to swim, you aren't going to swim across the English Channel on day one. That's a ridiculous thing to even focus on. It seems impossible from where you're starting. Instead, you work on floating on your back. Once you master that, you move to the next progression. You take one step at a time, gradually improving as you go. Nutrition is the same. HOW DO you IMPLEMENT THe 100% confidence rule in your diet plan? Simple. Start by asking the question: Am I 100% confident about what I'm about to undertake. Will I have any problem continuing with this new habit for 6-months or more? Or am I likely to get tired of it before then? If the answer is a resounding "Yes! ", that's fantastic. You go girl/guy! Consider what other improvements you could make that you're 100% confident about. If the answer is "No, I'll probably drop off after 2-3 weeks", you've got some re-thinking to do buddy boy. How can you change your plan to make it more doable? If you don't think you'll be able to completely quit drinking, could you cut it out during the week? Could you track the total number of drinks you enjoy each week and give yourself a weekly cap? If getting to the gym four times a week seems daunting, could you commit to making it at least twice a week, with anything above that considered gravy? Could you commit to doing something (anything!) that makes you sweat for at least 10-mins a day? No ready to give up your bagel and coffee in the morning? 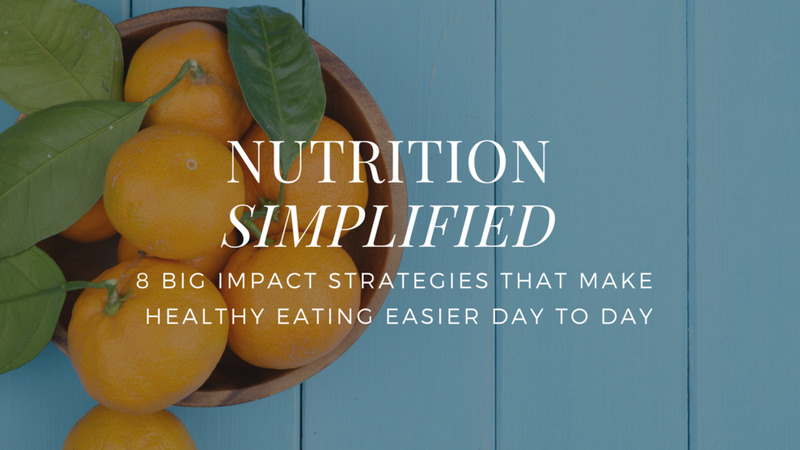 Why not focus on improving the other meals in your day? Or reducing the amount of sugar in your coffee by 50%? Here's a key tip: make your actions specific and easy to score. "I commit to drinking no more than 4 alcoholic beverages a week" is a lot better than "I will reduce drinking". If at the end of the day/week, you want to be able to say "Did I do what I said I'd do? Yes or no?" There shouldn't be any grey area. WHAT IF I'm ALREADY pretty good at realistic goal setting? how can I get even better at applying the principles of the 100% Confidence diet rule? Let's say you have a very healthy, well rounded nutrition profile 85% of the time. You know your stuff. You have good habits. You're not a beginner. The 100% Confidence Rule still applies. What are the areas that could use the most improvement? Where can you get the most results for your effort? Do you go a little too overboard on the weekend? Do you sacrifice too much sleep? Do you push hard in the gym even on days when you could probably use a rest day? Do you have effective strategies for work or social events where good eating practices seem more difficult? What throws you off? What is getting in the way of you finding the balance that you're happy with? Once you determine what to focus on, realize that those at intermediate and advanced levels are just as prone to bite off more than they can chew as newbies. Find one or two habits or actions to commit to that you're 100% confident on. Can you limit weekend indulgences to one meal a week instead of an entire day? Or, if that's too rigid, what modifications can you make to ensure it works for you? Can you improve sleep by getting to get 30-mins earlier? What else needs to happen to your evening schedule to make that easier to maintain? On days when you know a tough workout isn't the best option, can you do a light recover workout instead? Here are a few tips. You've got to think outside the box and find what will work for you. At the end of the day, there are no hard and fast rules to planing the best diet for you... except that better long-term habits lead to better results and a healthier, more energetic lifestyle. If you make an improvement - any improvement - and you can stick with it for the long-haul, you're going to see some benefit. Plus, you'll be creating positive momentum that you can use to make even greater changes down the road. If all of this makes sense, but you're not sure where to start, drop me a line for a quick consult. Chances are that within a short amount of time we'll be able to pin point a couple areas for you to work on, and develop the specific strategies to help you improve the way you feel about and in your body.